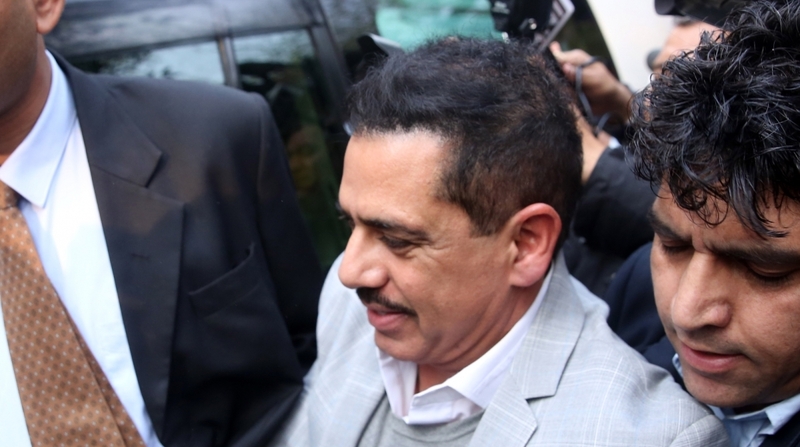 The childish bid by the Bharatiya Janata Party to project Robert Vadra as a symbol of the corruption in the “family” only confirms that it is rattled. A mere blip on the political radar screen would Robert Vadra be, and court-determined was his date with the Enforcement Directorate, yet the childish bid by the Bharatiya Janata Party to project him as a symbol of the corruption in the “family” only confirms that it is rattled. On at least two counts. The impact of Priyanka’s formally entering the political arena was itself quite a shakeup, and then Mamata Banerjee stealing the political wind from its sails by her game-changing dharna that gave fresh fire to anti-BJP sentiments, add up to a body-blow. True we must await the action the ED will finally take on the money-laundering case(s) against the businessman who acquired much clout after his marriage before opining on his “cleanliness”, but the BJP calling a press conference to say what the “watchdog” dared not say after the apex court order on the CBI suggested that the party was barking up the wrong tree. That it entrusted a lightweight like Sambit Patra to assail Vadra was self-indicting. Sure Ravi Shankar Prasad said a few words, but after the “defeat” in his tangle with Mamata it was insipid. Confirmed Rahul-baiter Smriti Irani opted to sit this one out. That the generally trial-by-media specialists in the government agency ensured that its “sources” laid off the Tabasco ensured that the extended, incomplete, questioning did not trigger the customary sensation was yet another pointer to the BJP nursing a bloody nose. A nose that was rubbed in the dirt by Priyanka iterating her commitment to “family” ~ proving that it was not a four-letter word. Tactically, Rahul scored by not immediately entering the fray. This government struggles to dispel the perception that it misuses its agencies, twists the law (even the Lok Sabha’s rule book) to fulfil its political aims. So even though Vadra’s reputation is not especially pristine, a large section of public opinion will give him the benefit of the doubt. For had he not been part of the “family”, his alleged misdeeds would have attracted limited attention. Patra blundered when trying to project him in the same bracket as Vijay Mallya, Mehul Choksi and a couple of Modis. The BJP’s habit of using an elephant gun to shoot bandicoots can so easily misfire. Time was when the party was known for its slick media-management; that finesse has dissipated. 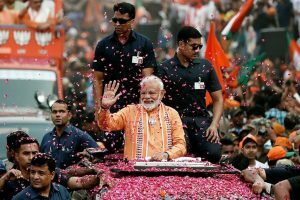 During the infamous Emergency, India Gandhi allowed herself to be misled and surrounded by a host of sycophantic chamchas’ ~ history seems to be repeating itself in “Mr Narendra Modi’s imagined- Camelot”. Nobody recommends he read How to Win Friends and Influence People, yet constant stridency has its negatives. An occasional chuckle can work wonders, particularly the ability to “laugh with” and not always “laugh at”. Politics is not a game for the muscle-bound, flexibility can be a source of strength.